This is the first in a series of 3 preschool theme Down by the Pond lesson plans. These preschool lesson plans use literature, music, and games to teach children about animals that live down by the pond. 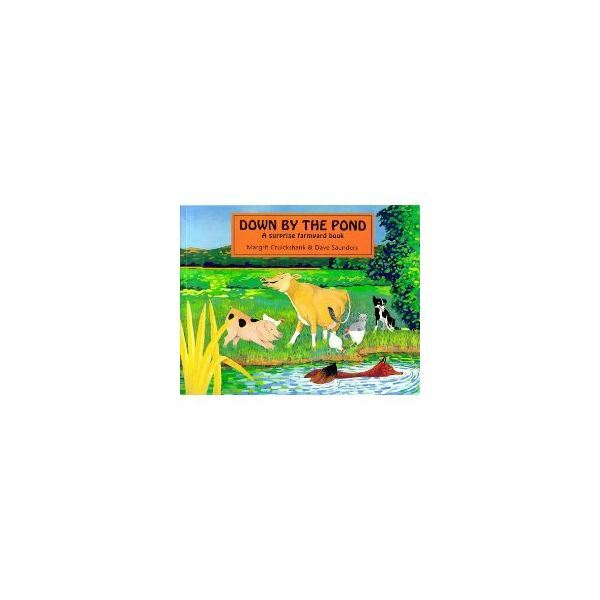 To complete this particular lesson plan, you will need the book Down by the Pond by Margrit Cruikshank some knowledge of what animals can be found by the pond and the song "Old McDonald". Children who participate in this lesson plan should be able to sit down and read a book as well as follow along with preschool songs such as "Old McDonald". To begin this lesson plan, have students sit in a circle or in a designated area for reading. Discuss different animals with your students, including where those animals live. Then, sing the song "Old McDonald" with your students to familiarize them with the verses and rhythms of the song. Once children have sung "Old McDonald" and are seated and calm, read them the book Down by the Pond. After reading the book, discuss the different animals that were listed in the book. You may even bring up specific animals and talk about what types of homes those animals live in and what kind of sounds they make. After reading the book and practicing making animal sounds, sing a song with the children using the "Old McDonald" music but changing it from "had a farm" to "had a pond". Instead of singing about farm animals, you will be singing about animals that live by the pond. Use the book to guide you on what animals to put in the song. Some examples are listed below. Say "frog" and make the "rib-bit" sound. Say "snake" and make the "sss" sound. Say "duck" and make the "quack quack" sound. This is a great way for children to begin learning about animals that live by the pond. Using reading and songs to entertain as well as educate children is a sure way to get their attention and hopefully hold their interest in the materials they are learning about. When children have completed this lesson plan, they should be ready to move on to the next Down by the Pond lesson plan in this series.